As more and more plastic bags littered the streets of her village and endangered her community’s goat herds, Isatou Ceesay gathered a group of friends together to pick up the refuse and turn it into plastic strands that they then used to weave beautiful purses. Published by Millbrook Press, 2015. 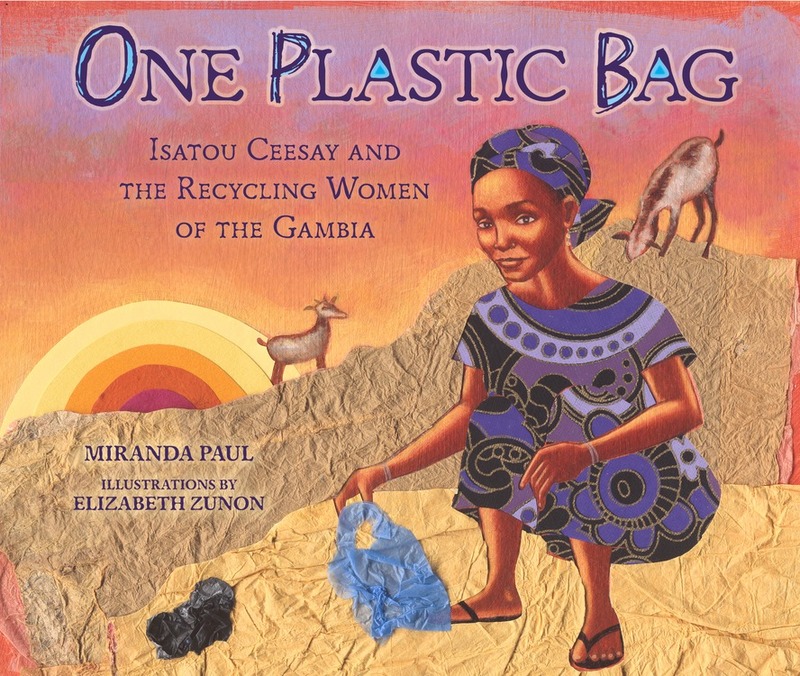 About the author: Paul was inspired to write One Plastic Bag while she was a freelance journalist in The Gambia. She has written several other children’s picture books, including Water Is Water, which School Library Journal named as one of the best books of 2015. 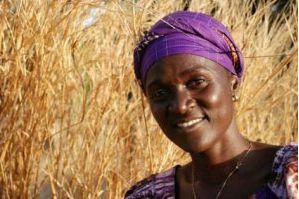 Seventeen years after she started recycling, Isatou Ceesay‘s idea has evolved into the nonprofit Women Initiative the Gambia, with over 40 groups and 2000 members. Her project not only benefits the environment, but has also enabled thousands of women to earn money and better the lives of their families. Her biggest victory came in 2015, when Gambia banned the use and importation of plastic bags.